Things are progressing nicely on after the 5 Seconds Volume 2 Kickstarter finished. The monies from the Kickstarter has come through which will be used for paying for the first print run. Still doing some tidy up on the script before lettering powers ahead. 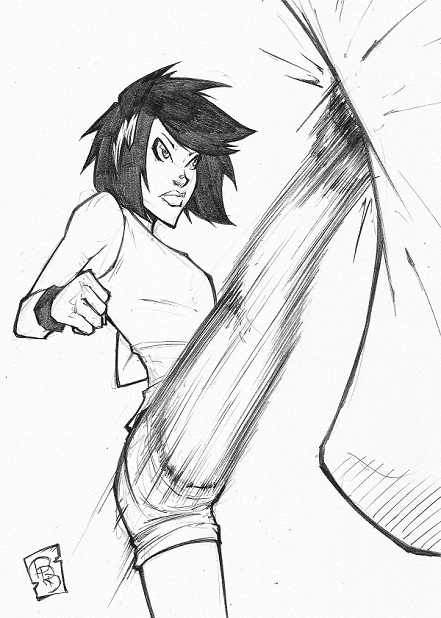 In mean time, this is one the rewards sketches that one of the backers will receive!